For Melissa’s family, Hanukkah is a festive holiday, rich in traditions. 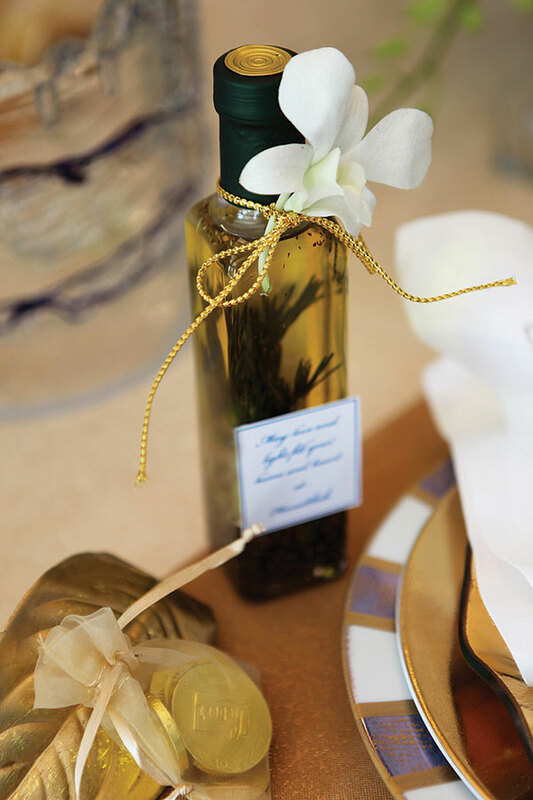 This eight-day Jewish holiday, which commemorates the rededication of the Holy Temple in Jerusalem, brings together the young and the old for prayers, songs, food, and gifts. 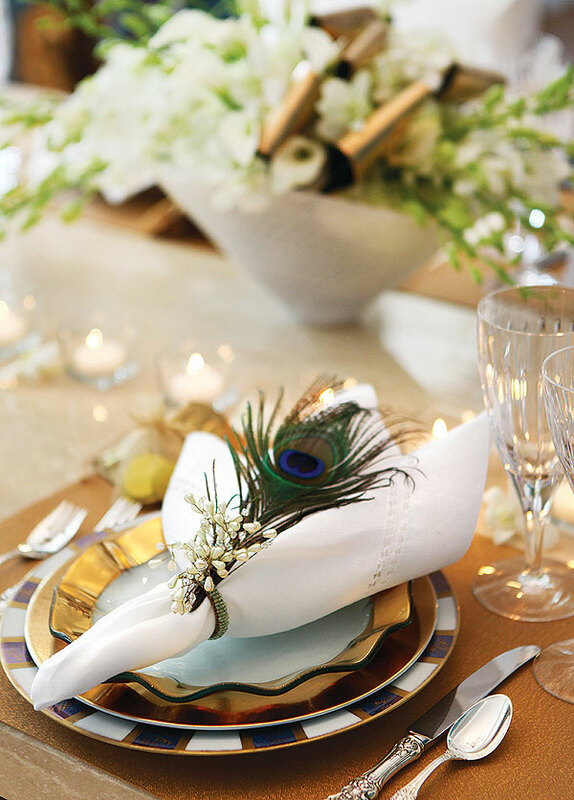 This Creve Coeur family blends long-standing Hanukkah traditions with sophistication and style. The joy of the holiday is evident in the faces of family members and reflected in the festive decorations. 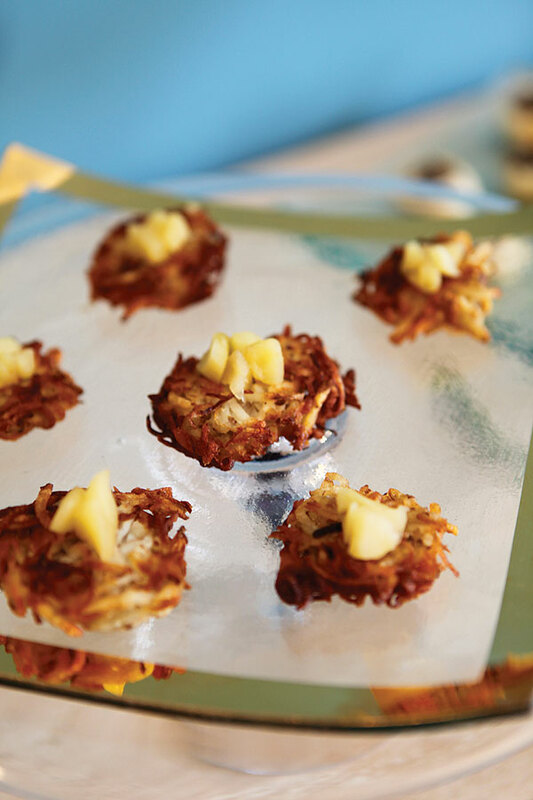 And the latkes are something to look forward to all year! 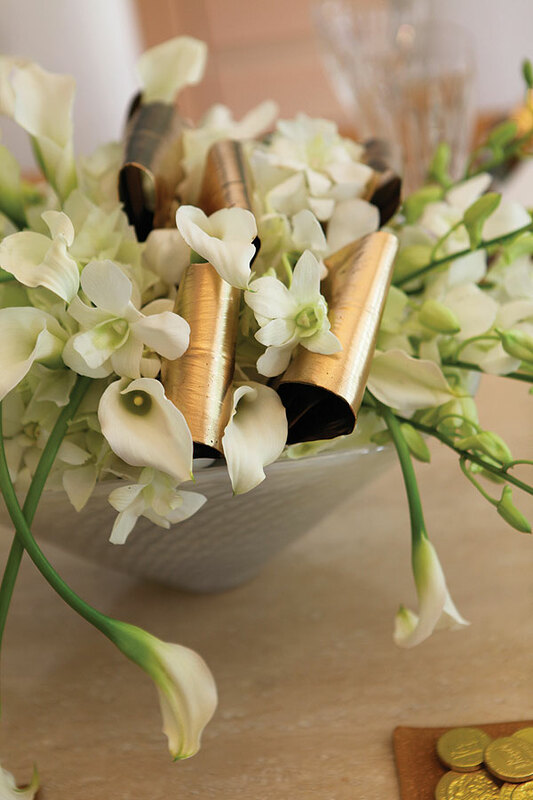 Below is a gorgeous centerpiece, designed by Petals Galore, comprised of orchids and tulips. 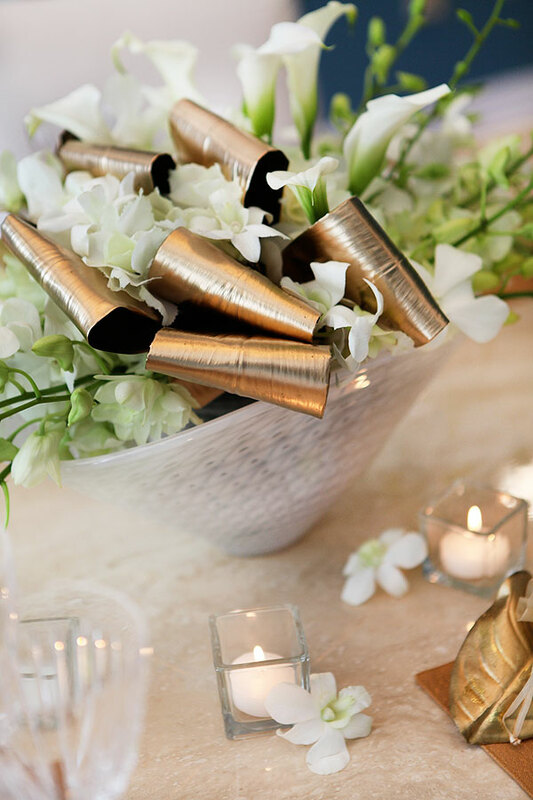 Sandra Fulton, the designer, also spray painted banana leaves and incorporated them into the centerpiece. 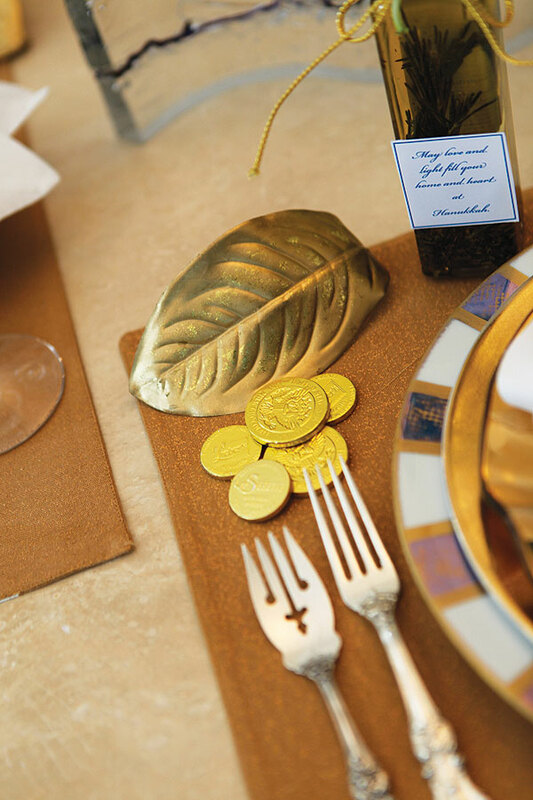 The gold paint symbolizes the gold and blue color scheme traditionally associated with Chanukkah. Melissa’s favorite part of Hanukkah is the tradition of cooking with her mother Sandy, or Gigi as her grandchildren call her. Melissa’s young daughters “are so excited to go to Gigi’s house to help make homemade applesauce, potato latkes, and cookies.” Every food has a history, including the blue and white frosted cookies. “We use the same cookie cutters I had as a child to make Hanukkah cookies in the shapes of Stars of David, menorahs, and dreidels.” Melissa smiles at the sight of her children’s little hands sprinkling the cinnamon and sugar into the homemade applesauce recipe her family has enjoyed for years. 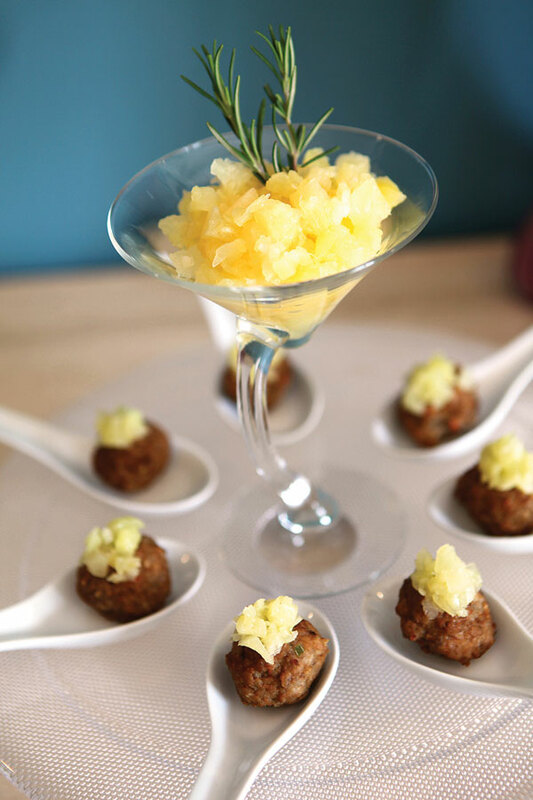 Also pictured below are Pineapple Wasabi Meatballs which looked great with the modern décor beautifully displayed on the buffet table. 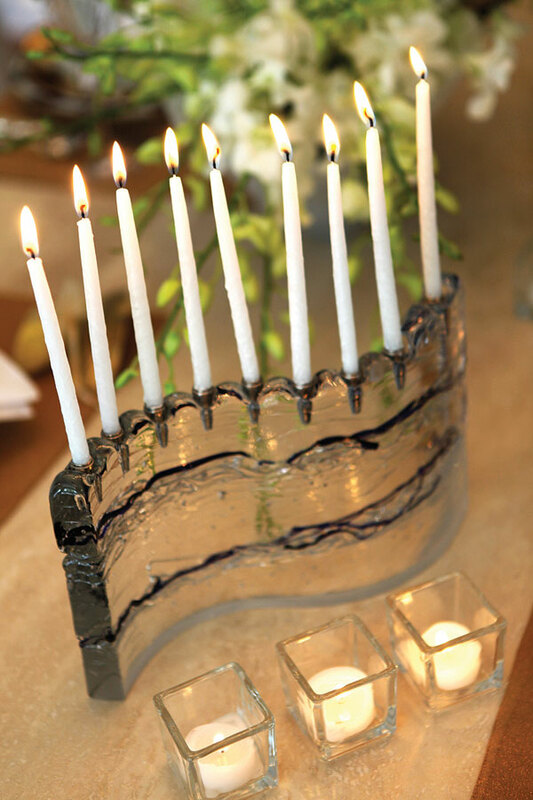 A touch of sophistication is found in the Hanukkah decorations. Melissa’s dining room is the perfect place to have the celebratory meal of Hanukkah, as it is already tastefully decorated in the traditional colors of blue and white. Even the drinks are part of the theme, illustrated by the tantalizing blue martini. 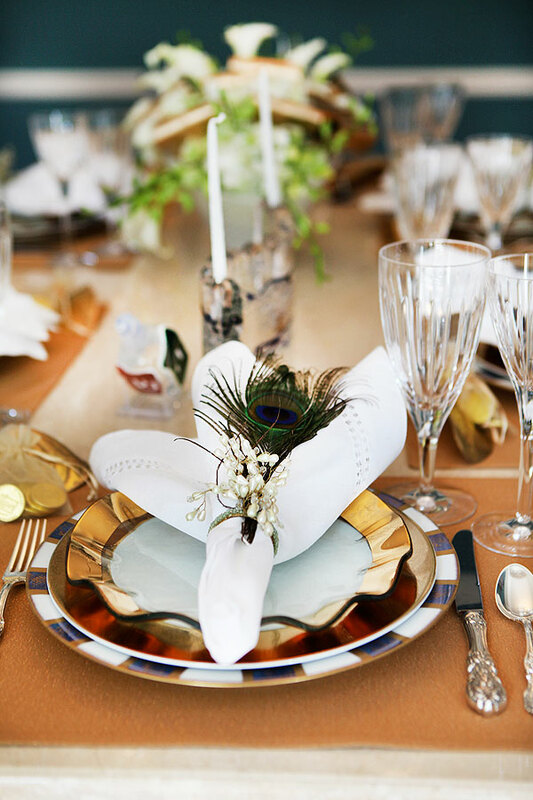 The table is set with accents of blue and white, while the elegant china is flourished with a decorative peacock feather. Melissa’s Hanukkah celebration involves both sets of grandparents, her husband David, daughters Emily and Katie, and David’s great-grandmother. 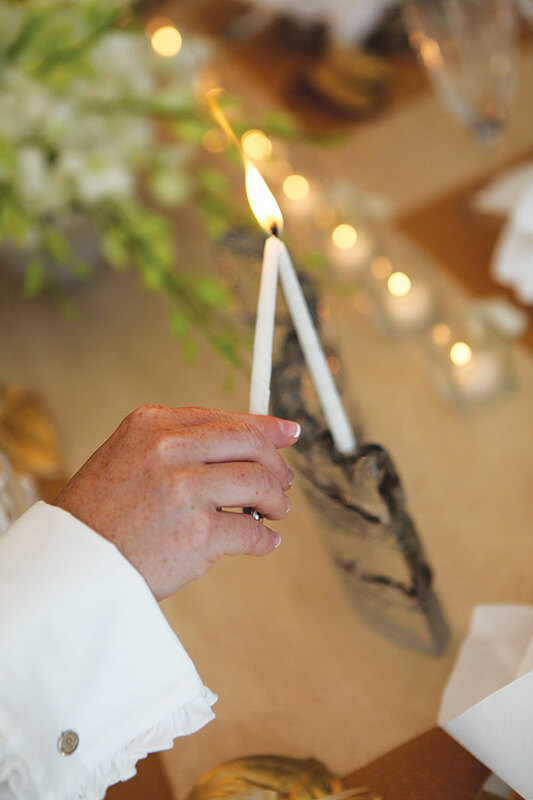 Each year, the family gathers on the first night of Hanukkah at sundown for prayers and the lighting of the Menorah. The family enjoys the customary meal, complete with traditional foods and latkes fried in oil. 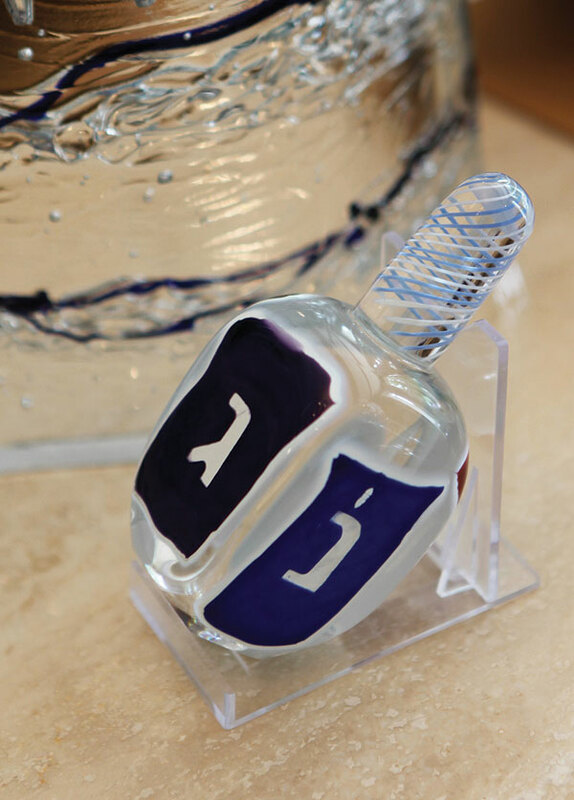 This is symbolic of the original miracle of Hanukkah, in which one small flask of purified oil was supposed to light the Menorah for one day, but miraculously lasted eight days. 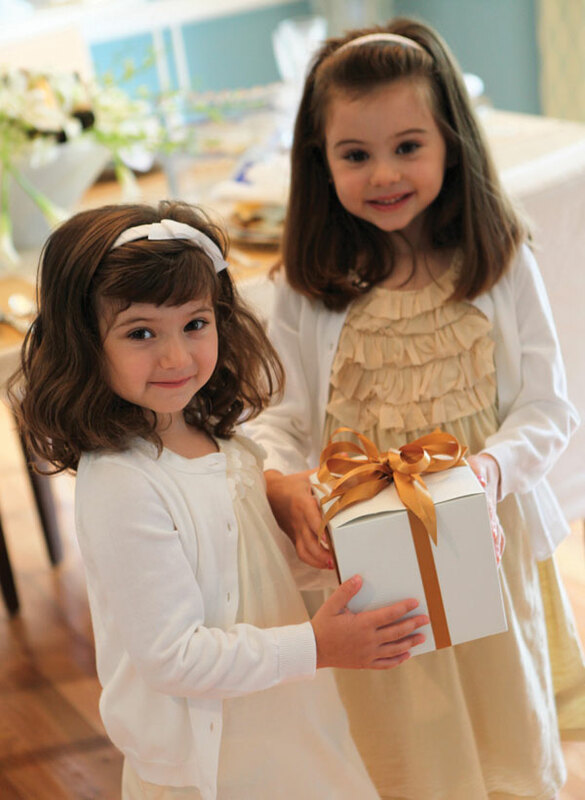 After games and songs, Emily and Katie happily deliver presents to each of the family members and eagerly anticipate the surprise of their own special gifts. 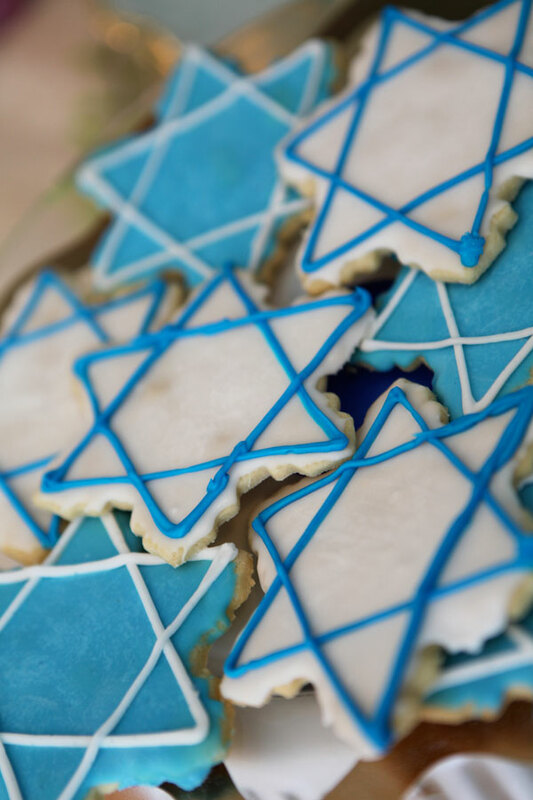 For this family, Hanukkah truly is a time of joy, watching traditions come to life.